When you think of an estate sitting on the shores of a lake, you might imagine a dampness and chill in the air, or maybe you’d only envision that if we called it a loch and you lived in Ireland. Regardless, just because your home is on the water and the temperatures are dipping doesn’t mean that you have to freeze as well. 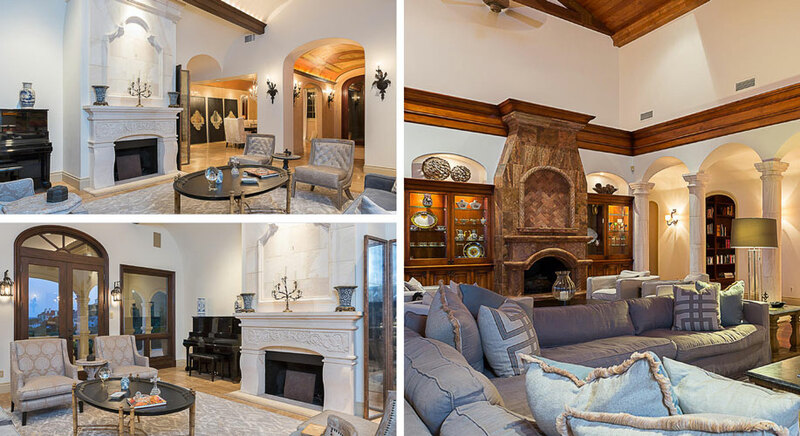 This pristine estate features multiple fire features throughout the 11,000 square foot home and over two acre grounds. 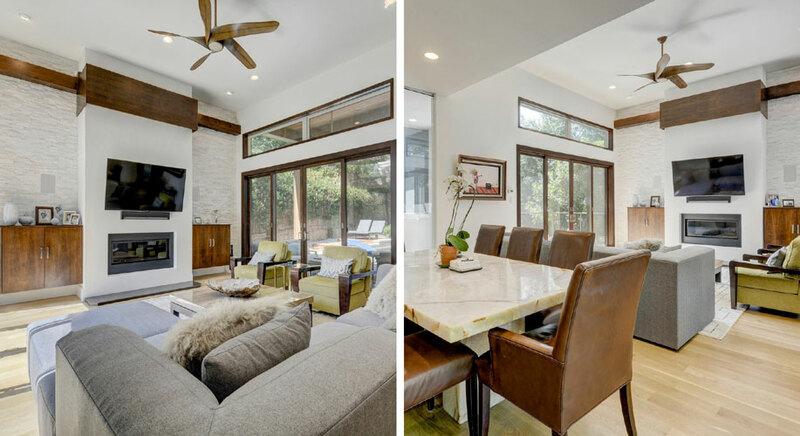 Inside, whether lounging next to the fireplace in the family room or taking a short siesta in the master bedroom that features its own separate fireplace, staying warm and comfortable is an easy feat. The backyard oasis, though exposed to the weather, is an ideal place to sit and enjoy the sunset or sunrise. 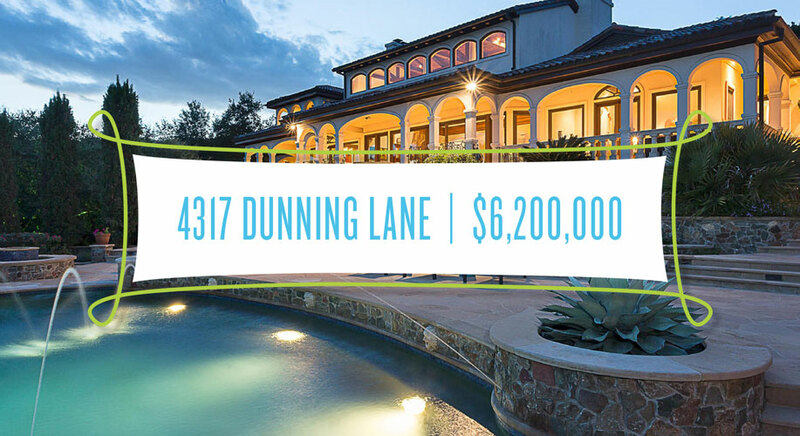 With the sprawling covered patio featuring 2 fireplaces surrounding the dining area and a fire pit with room for a large group located next to the pool, you don’t have to worry what season it is. 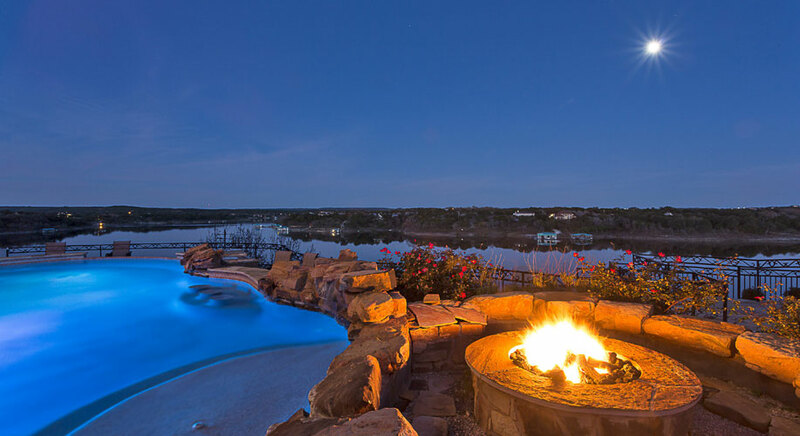 This unique home, with 5 fireplaces and a fire pit, is a personal paradise right on Lake Travis. Perched on a hilltop, this fabulous home offers views for miles and more than one way to raise your body temperature. Through the double front doors lies an elegant living room with an opulent fireplace, amazing views, and access to the balcony and a cool breeze if the flames get to be too much. The heart of the home though, the great room, boasts an even larger fireplace and plenty of room to snuggle up on the couch with a blanket and the latest best selling novel. Or head to the master bedroom with its private fireplace and relax to the crackling sounds and dance of flames. 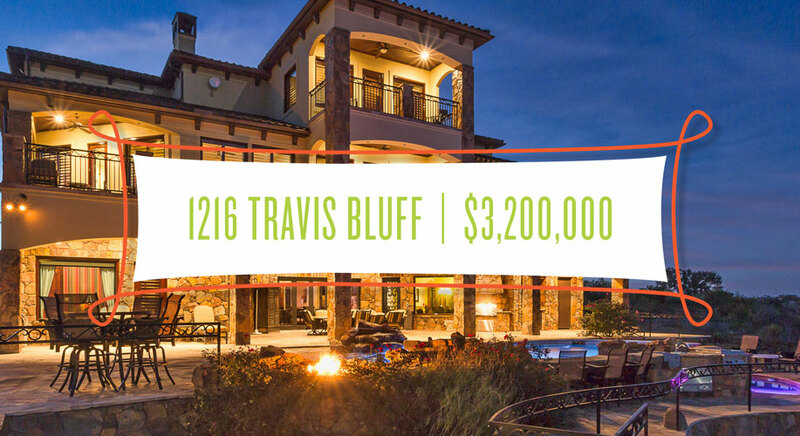 Thoughtfully planned down to every last detail, this fabulous estate will be the perfect place to enjoy the upcoming frigid weather. 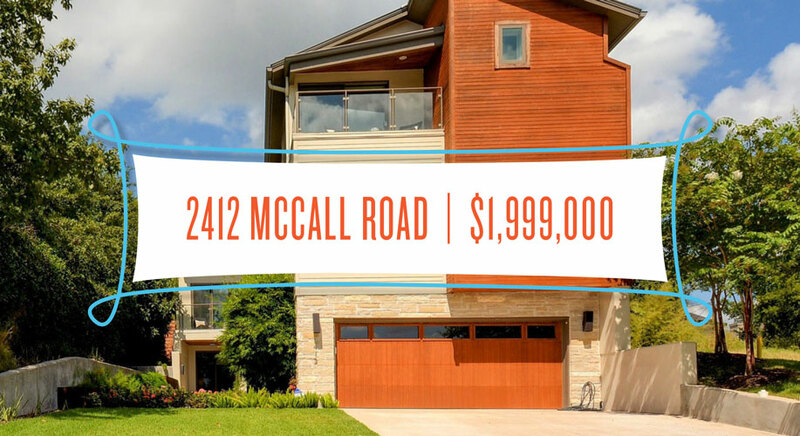 This cool and contemporary Tarrytown home offers great places to enjoy the outdoors and Texas’s warm, sunny weather. But what happens when the occasional cold front or freeze comes in that makes the backyard pool off limits unless you want to be an ice cube or catch pneumonia? (Though rare, it does happen that we experience temperatures below 90 degrees). Well, glad you asked! The second floor features a bright and dazzling living area with plenty of room to cuddle up or mingle with friends and family. Located front and center though is a stunning feature wall with sleek fireplace. Though light and bright, the warmth and glow emanating from the hearth will warm you from the inside out.